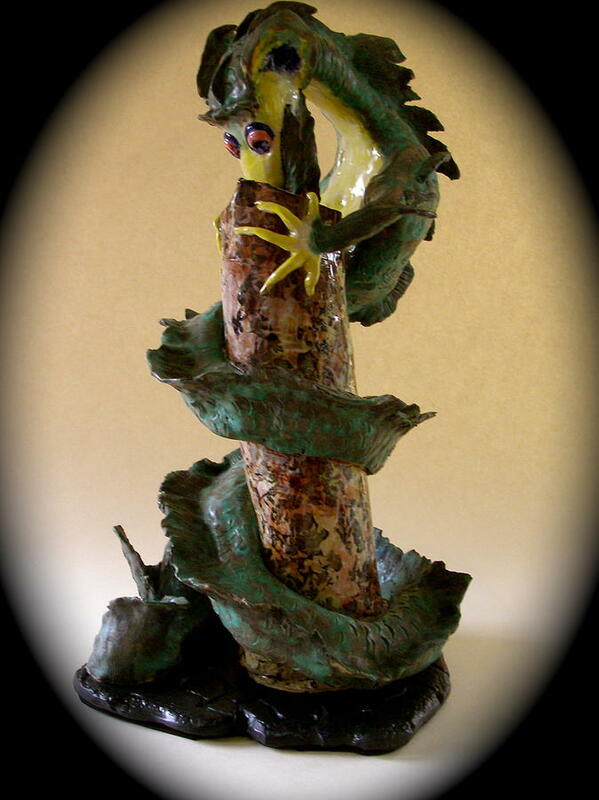 Dragon Hunting is a ceramic art by Viva Jones which was uploaded on January 15th, 2010. She curls around the hollow log as she corners the morsel inside. There are no comments for Dragon Hunting. Click here to post the first comment.